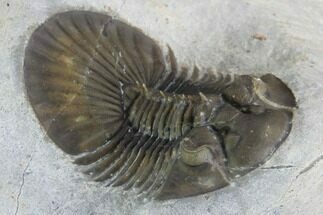 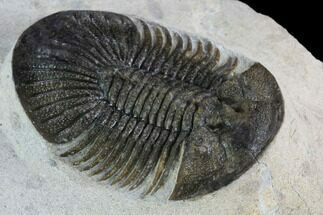 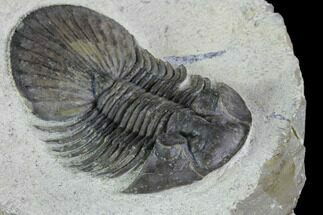 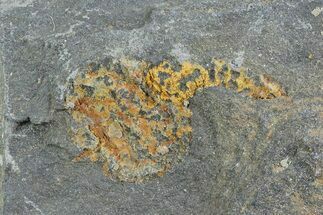 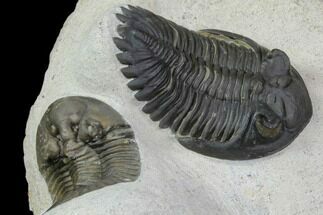 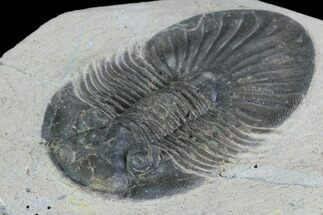 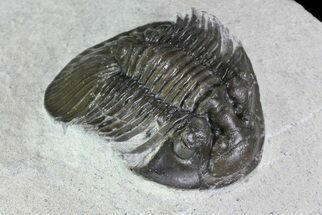 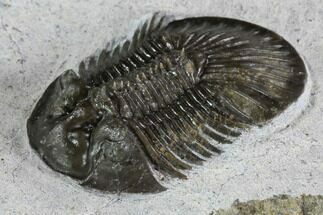 This is a natural association of three different trilobites from Morocco. 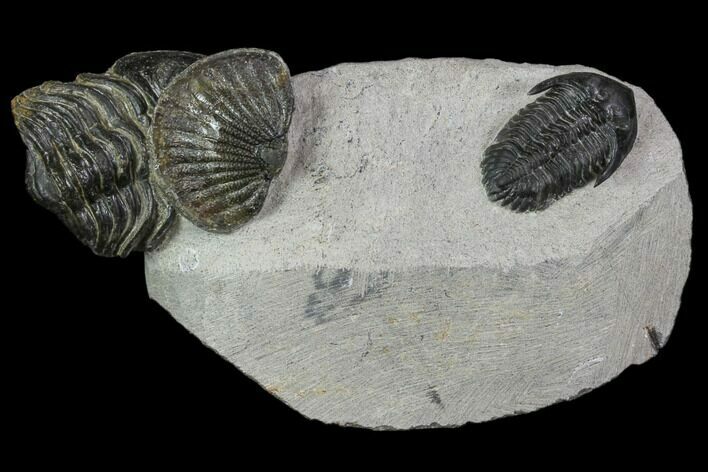 There is a 1.1" long Kayserops which is prone, a unidentified phacopid which is partially enrolled and a tail of a Metascutellum. 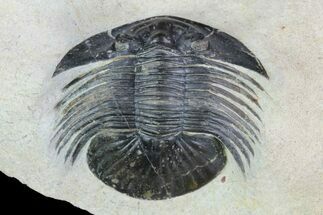 The preparation is a bit rough on the phacopid, hence the bargain price on the piece.